Daniel Pleasant’s daughter, Angela, was staring at an empty bottle of women’s fragrances in the trash can, addressing her mother, Mary-Sue, who was poring over some campaign preparation documents at the dining table. “Why do you ask?” Mary-Sue murmured, without looking up. Mary-Sue sat bolt upright. She turned, looking at Angela in the eye. “Are you sure, Angela? Lilith hasn’t been using perfume?” Her words were slow and deliberate. “No, I don’t think Lilith has been using perfume.” Angela reiterated. “It’s not mine either, of course,” she added as a quick afterthought. As Angela headed off upstairs to her own bedroom, Mary-Sue knew what must be done. She put down her work papers and left the dining room. 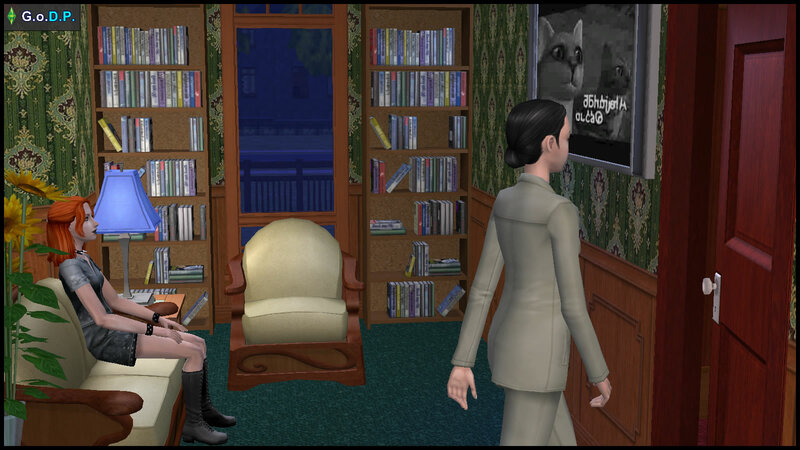 For a change, Lilith was quietly watching a horror movie alone in the living room, instead of playing loud music on her bedroom stereo. Without a word, Mary-Sue walked past Lilith, into the master bedroom that she shared with her husband, Daniel, for over sixteen years. Through the large windows, she could see him outside, having a late dip in the family’s swimming pool. Mary-Sue rummaged through the dresser drawers, pushing aside over a decade’s worth of clutter. Fifteen minutes later, she fished out her previous oPhone and its charger. Returning discreetly to the dining room, Mary-Sue started charging her old oPhone for the first time in two years. She picked up her current oPhone, and quickly started browsing the App Store. Half an hour later, she was installing new software on the old oPhone. She saw Daniel return to the master bedroom, presumably to turn in early for the night. Mary-Sue breathed a sigh of relief. Months ago, she was getting irritated with Daniel’s incessant asking for woohoo. She was too busy planning for the campaign to care about such frivolous demands. Mary-Sue shut her eyes, suddenly aware about the possible reason why Daniel had stopped asking her for woohoo. But could she now attempt to salvage the situation, by going into the bedroom now, to suggest having a steamy night in? The idea felt disgusting. Besides, the lure of the campaign papers had never been this strong. The new software on the old oPhone worked well. Two hours later, Mary-Sue plugged in this turned-on old oPhone in a discreet corner of the bedroom, taking care to camouflage it with clutter. Suppressing her disgust, she then lay down to sleep next to Daniel. Her plan would only work if he thought nothing was out of the ordinary. The next day, during the lunch hour, Mary-Sue pulled out her current oPhone, as she sat inside a toilet cubicle. Flowing tears and violent anger consumed her, as she perused the security video feed from the old oPhone. The moving visual images tormented her by confirming her worst fears. With great effort, she managed to compose herself, and took an urgent half day off for a “family emergency”. How could she bear to go through the motions of the rest of the work day, with such unusually strong negative moodlets? Daniel was sitting in the living room, watching TV. Mary-Sue took care to keep as straight a face as she could possibly manage, in front of her smiling husband. Mary-Sue mirrored the security feed footage onto the big screen of the TV. “How… did you get this?” he stammered. By now, both Mr and Mrs Pleasant were yelling at the top of their lungs. Neither of them noticed that their sixteen-year-old twin daughters had just returned from school. Angela and Lilith sensed this was no ordinary family quarrel. The girls hid near the staircase to listen to the commotion. “Mary-Sue. Are you really so naive? 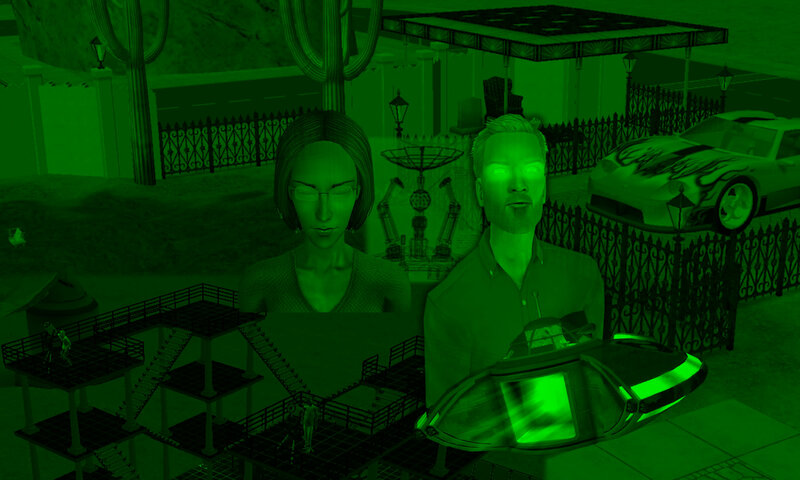 You married a Romance sim, for Fringe’s sake. Romance sims, especially males, NEED regular woohoo. Remember, I kept asking YOU for woohoo, but you never seemed to have ANY time for me. Near the staircase, Angela was already in tears. Lilith could only sigh. Instinctively, Mary-Sue reached forward and slapped Daniel. As he reeled from the impact, she barged into the master bedroom, opened the wardrobe, and began to throw Daniel’s clothes onto the floor. At the sound of Mary-Sue’s footsteps thumping out of the living room, Lilith nudged her crying sister, and motioned her to go upstairs. On the upper floor, Mary-Sue caught up with the girls, and began the painful explanation of the upcoming changes in their family. When this was done, Lilith returned somberly to her own bedroom, while Mary-Sue joined Angela in the latter’s bedroom for a session of crying and Daniel-bashing. 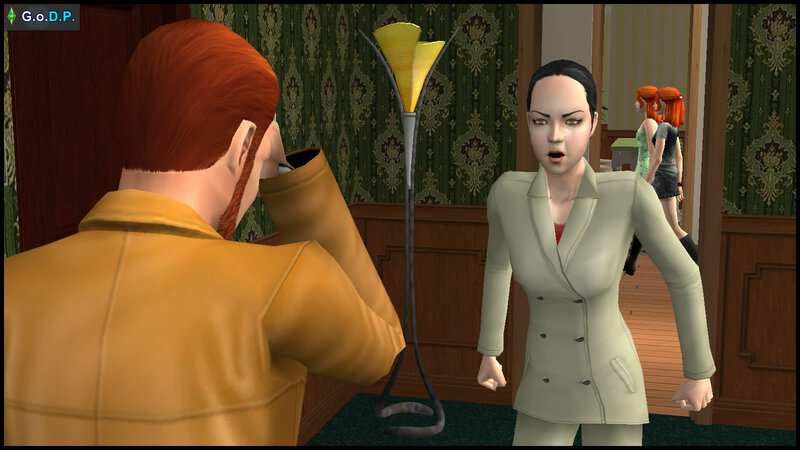 How will the atmosphere in the Pleasant household be like in the hours after this ordeal? How well can Daniel handle the pressure of being “Red-Carded”, and being forced to leave the “field” at such short notice? Serves you right Daniel!!!!! You and your filthy dirty bi*ch!!! As Daniel was the one to commit adultery, he deserves to be on the losing side of the divorce case. Most divorces occur because one party has “unmet needs”. 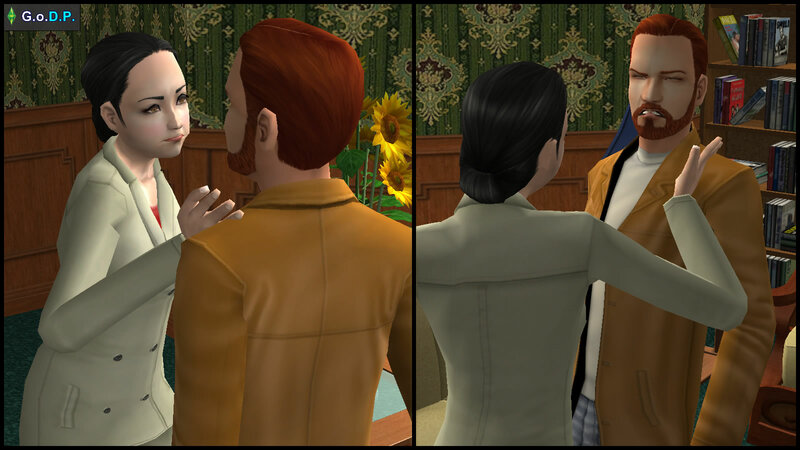 In this case, Daniel couldn’t get his woohoo needs met by his wife, despite him REPEATEDLY asking her, so let’s be fair to Daniel because he TRIED Mary-Sue first. But because Mary-Sue repeatedly neglected him, he fell to temptation when he found someone else to meet that need. So Mary-Sue is partly at fault too, because if she did not neglect Daniel, he has no excuse to look elsewhere to meet his needs. That’s right, Mar-Sue is indeed partially to blame for the sadness that she and her “husband” (I use this word ’cause I don’t want to say a bad word) brought upon their too young daughters. In many cases *the adults* are responsible for their not-so-happy life. Not their kids, not thier parents-in-law, not the money. They are responsible for the bad atmosphere at home. The ex-Pleasants are no excepsion. The campaign was important for Mary, as well as Daniel’s needs… every couple should do “this” regularly (if y’know what I mean ;)) at least in my opinion). I’m sure that they could’ve do both things (work and woohoo) without breaking up and destroying Angela and Lilith’s hearts. If I would be Angela, Lilth or Mary, I would slap and beat up that Kaylynn tart and knock Daniel in his “family jewels”. I don’t know why did Angela let Demetrius play football while he was couched by his “dirty grandpa” (I mean Daniel, not the movie). At least he could’ve played for another Team, and one with a couch with unknown past. 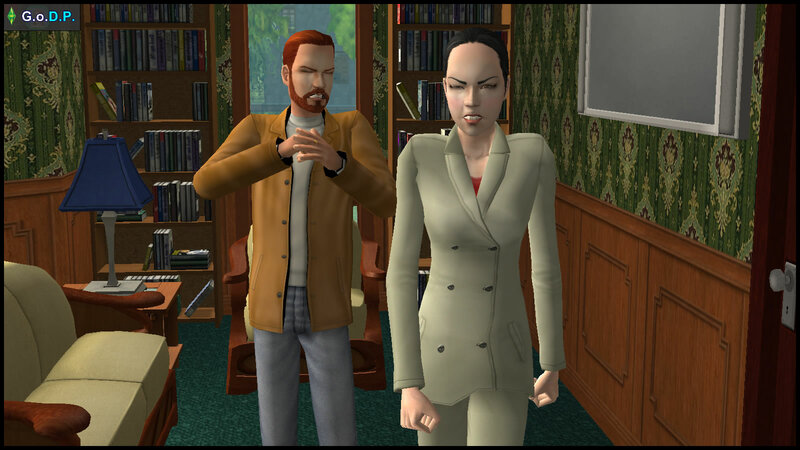 Let’s be clear that NOT ALL sims/people who end up committing adultery are necessarily evil depraved people who never deserve to be forgiven. I am not denying that what they did is deeply hurtful, but it helps to see their side of the story too. Daniel is clearly TRAPPED in an unfulfilling marriage where his needs are left unmet. As a result, he feels unloved by his wife, and has no other way to relieve the “physical pressure” inside him. This is the perspective that Kaylynn sees — because she finds him attractive and wants a husband, she believes that by making herself available to meet his needs, she can love him better than his existing wife. While marriage is “sacred”, it can also be a deadly TRAP to be caught in, when one is unfulfilled in it. (2) the unfulfilling marriage that Daniel is trapped in. This is the Pleasant family we’re all used to seeing 😉 You definitely show more of Daniel’s argument than most people, which is an interesting change that better reflects how actual relationships work.